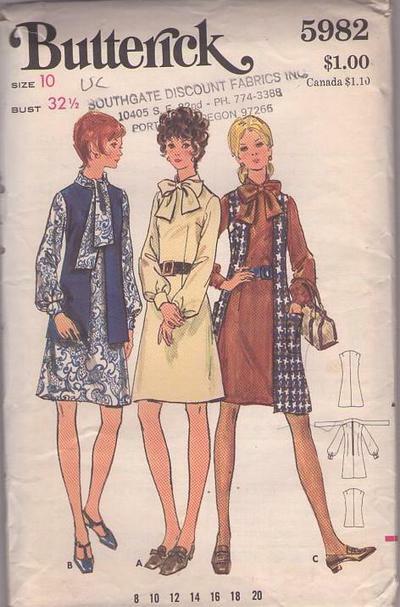 70s Office, Retro Secretary Clothing Patterns - Semi fitted, A line dress, mid knee length, has bias collar extending to tie and full length sleeves gathered into buttoned cuff. A line, sleeveless vest, in two lengths with or without patch pockets is lined to edge. Purchased belt. Fancy secretary clothes fashions!